Last week Singapore Exchange and the Monetary Authority of Singapore announced a project to address securities settlement over blockchain technology. But what’s it mean? The announcement didn’t go much further than that, and the local media didn’t do anything beyond repeat it. Fortunately DigFin had the chance to speak with some of the principals at an event organized by SGX to broadcast the project. If this next phase of Project Ubin can be summed up in one word, it’s “interoperability”, connecting different blockchains so participants can trade across them. Damien Pang, deputy director and head of MAS’s technology infrastructure office, says interoperability is one of three guiding principles the Authority wants to see incorporated into the future of blockchain and the smart contracts that will underpin transactions, along with investor protection and accountability. Project Ubin originated as the MAS’s way of understanding how distributed-ledger technology can provide alternatives in crossborder payments and securities settlement. In phase one, the MAS explored how to represent the Singapore dollar on a blockchain. The second phase addressed how to extend netting among multiple parties, so as to avoid the system getting gridlocked if one party needs to receive money before settling other trades. This phase involved using three blockchains, Corda, IBM Hyperledger and Quorum, with their own methodologies, an experience that confirmed the likelihood that the decentralized future will involve multiple DLT – which must therefore be able to deal with one another. But as the future of transactions extends into securities and tokens representing new types of assets, MAS has handed the baton to SGX. That in turn will require more sophisticated settlement within DLT: from delivery versus payment, to payment versus payment, and, for cross-border trades, “DvPvP”, or delivery versus payment versus payment. “We see blockchain as business networks,” Koay said, “where smart contracts define the rights and obligations of the participants." Rehan Ahmed, head of fixed income and trading at SGX, says tokenization will help open smaller markets to global capital. “We’ll end up with people being agnostic to what currency you transact in. Interoperability will lead to fiat-crypto borderless transactions.” That includes creating new “flow” products from what are today illiquid assets such as real estate. But to realize this requires fundamentally rethinking consumer protection, risk management, customer due diligence and the implied funding costs of putting assets on a distributed ledger. 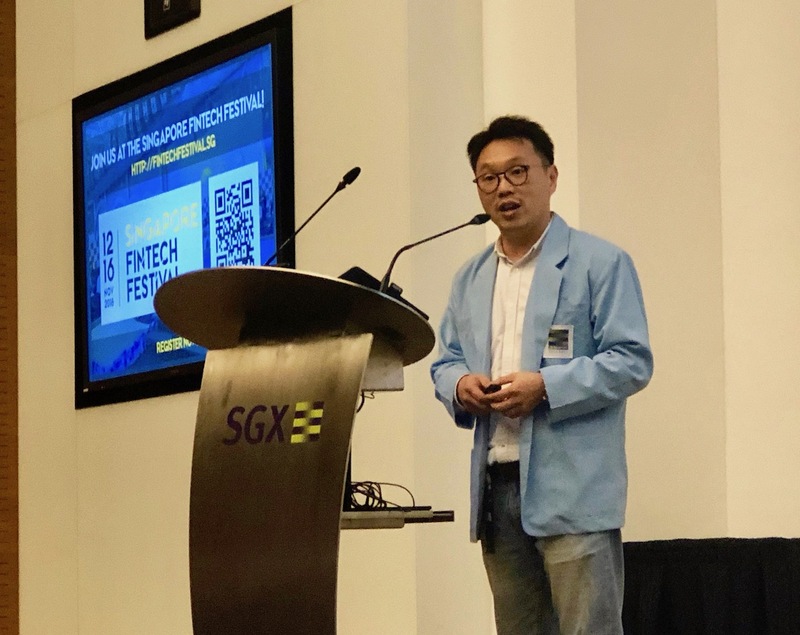 Therefore, to explore these issues, SGX and MAS have brought in three partners, each of which is contributing access to two blockchains, creating a total of six ledgers that are going to be tested for interaction. These are Deloitte, Nasdaq, and Anquan Capital. Deloitte, for example, has done blockchain projects around the provenance of diamonds, while Nasdaq has its Linq project for recording private company transactions. Singapore-based Anquan has developed a blockchain for collapsing payment times in advertizing buying, and its founders are also behind the development of a high-speed blockchain called Zilliqa. “Our role is to showcase examples of interoperability between public and private chains,” said Anquan co-founder and Zilliqa chairman Juzar Motiwalla. 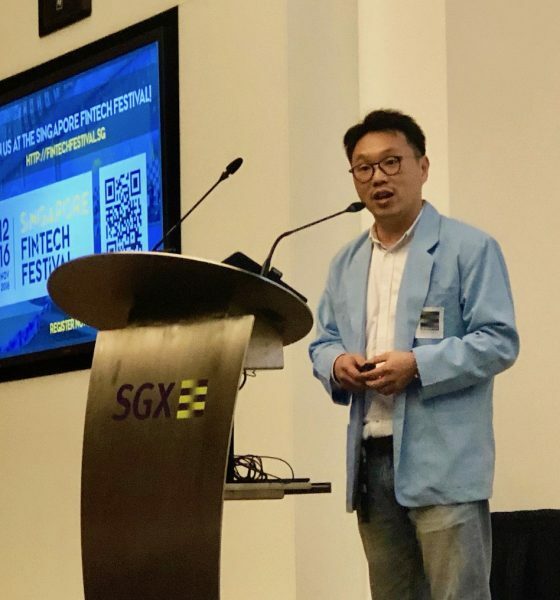 MAS and SGX will release more details at the upcoming Fintech Festival in Singapore this mid-November. H.K. fintech Spark launches DEX: will liquidity follow?